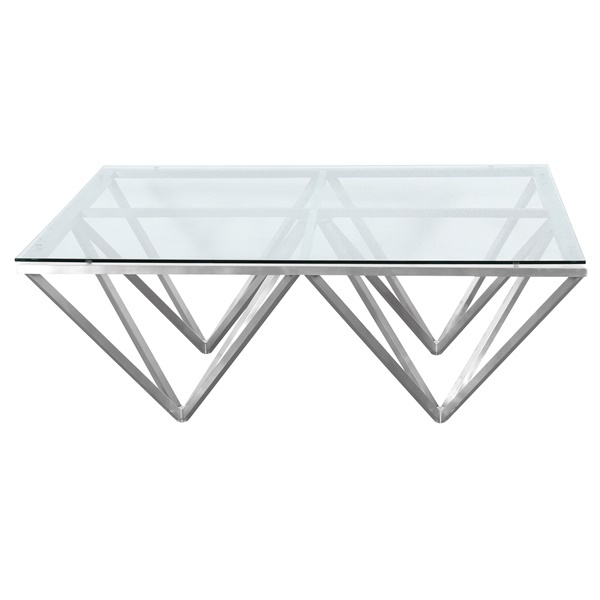 This elegant Cascade coffee table will give your room an extra bit of flare for when you are entertaining. This rectangular table has a frame made of brushed stainless-steel to offer durability and style. The table�s legs have floor protectors on them and the top is made from gorgeous tempered glass. It�s a practical yet beautiful design that can go in any room.